Putting someone’s face on a certain object is an interesting thing to do. Especially if the face has a funny expression. You sometimes can’t wait to play your creativity if spot something like that. 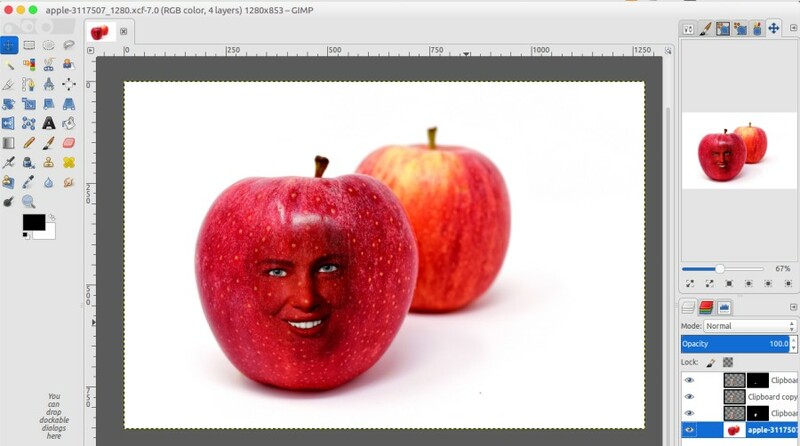 This tutorial will show how to put someone’s face on a certain object. 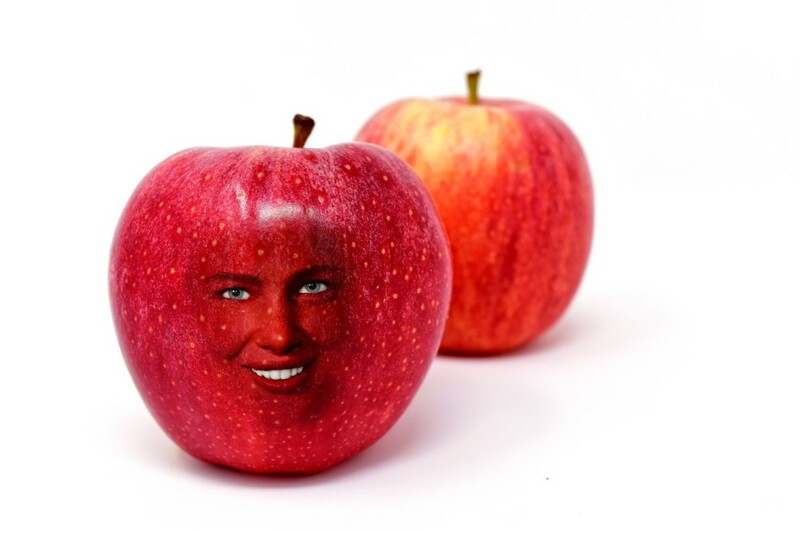 In this tutorial, I am going to put a woman’s face on an apple. You can use different object if you want. Like egg, ball or anything. Putting someone’s face on an object is not as complex as you probably thought, but it takes some time to find the best mode on each layer. First, you need to turn the photo of someone’s face you want to put on an object to transparent and then put it on the object. Next, you need to make some trials to find the best mode for each layer. Follow the steps below if you want to put someone’s photo on an object. Launch GIMP and open the object photo by going to File -> Open. Open the photo of someone you want to put her/his face on an object by going to File -> Open. From two steps above, you will have two tabs on GIMP. Switch to the tab containing someone photo and go to Layer -> Transparency -> Add Alpha Channel. Add a layer mask by going to Layer -> Mask -> Add Layer Mask. 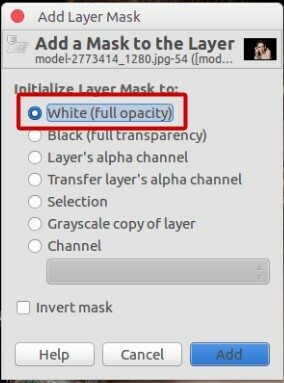 On the appearing pop-up, select the White (full opacity). Make sure the foreground color is black. Use Paintbrush Tool to remove all areas on someone photo but the face area. Remember, you want to put someone’s face so you need to retain the face. Once you are done with the removing process, go to Layer -> Mask -> Apply Layer Mask. Click the Rectangle Select Tool on the Toolbox panel and select the face area. Go to Edit -> Copy. Now switch to the object tab and go to Edit -> Paste as -> New Layer. Use the Move Tool to set the position of the face photo and use the Scale Tool to scale it. 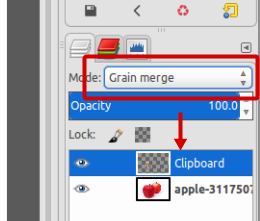 Select the Clipboard layer and set its mode to Grain merge. 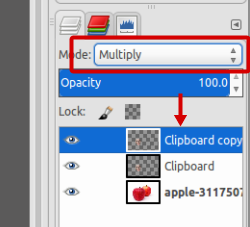 Duplicate the Clipboard layer by going to Layer -> Duplicate Layer and set the mode of the new duplicated layer to Multiply. 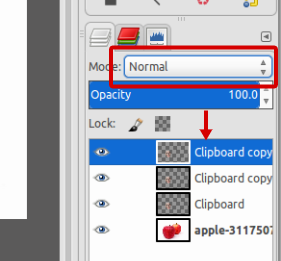 Duplicate the new layer you have duplicated above and set its mode to Normal. 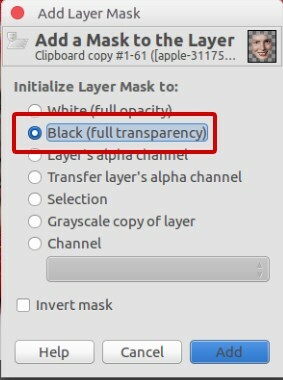 Select the top layer and go to Layer -> Mask -> Add Layer Mask. On the appearing pop-up dialog, select Black (full transparency). Change the foreground color to white. Use the Paintbrush Tool to brush the eyes as well as teeth area. Zoom-in to get a better result. You can use the Eraser Tool to recover the parts you have brushed. Select the original Clipboard layer and go to Layer -> Mask -> Add Layer Mask. On the appearing pop-up dialog select White (full opacity). Once again, brush the face area using the Paintbrush Tool. This time, use a smoother brush type. In this example I use Hardness 025. Restore the foreground to black. With Paintbrush Tool selected, brush the face area to get a smoother blending. Done! Following is the example result of this tutorial.